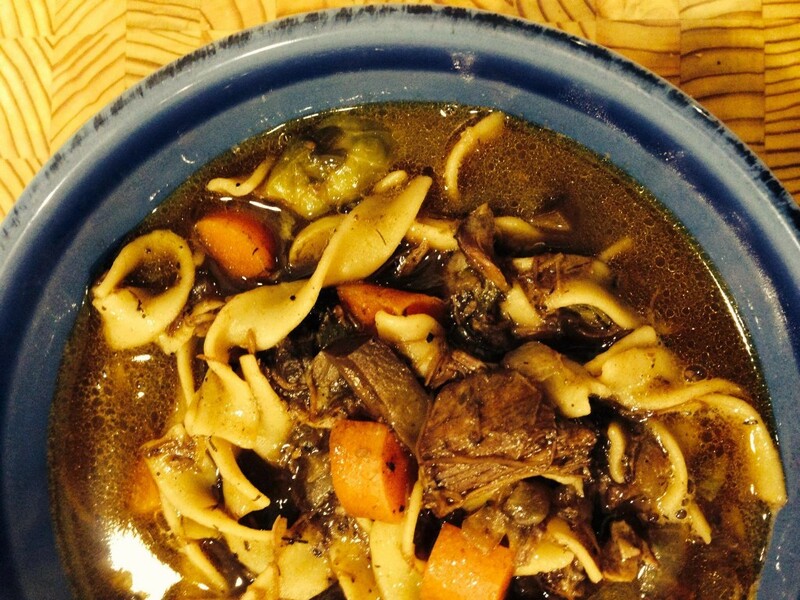 What is the secret to a great soup or stew? Great ingredients of course! 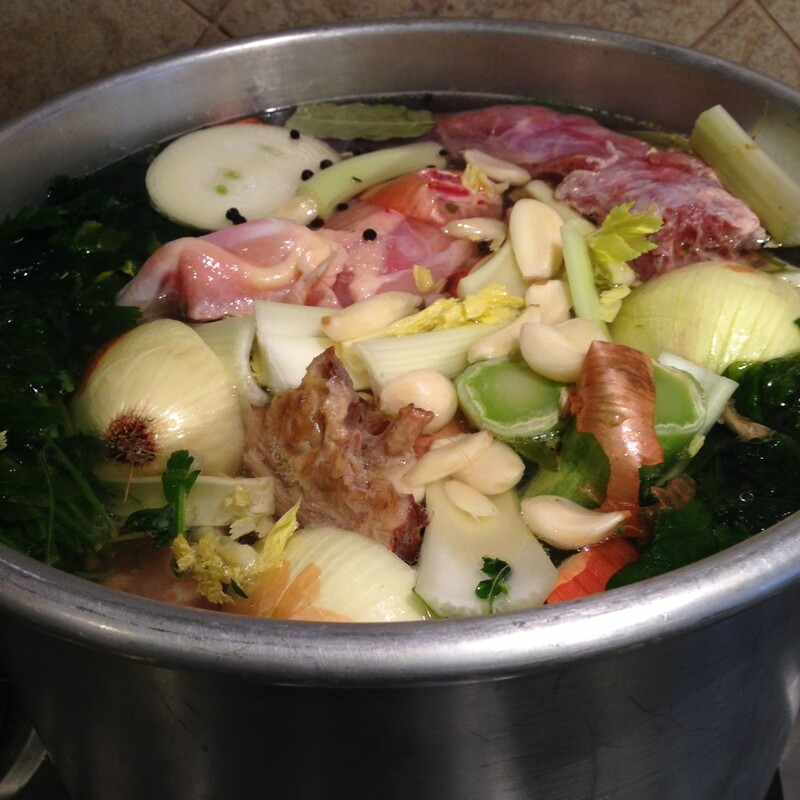 A great soup starts with a great homemade stock. 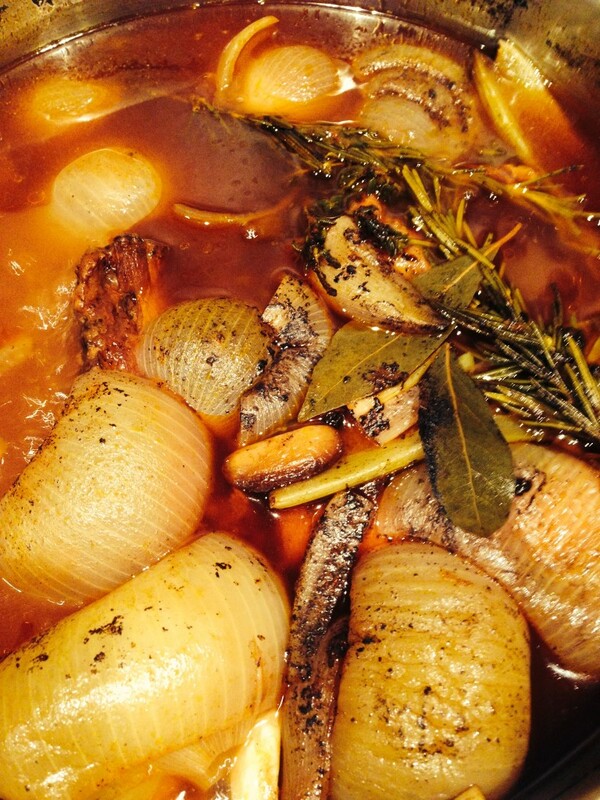 Often times I make stock – not always, but on a lazy Sunday, it’s an easy thing to do. 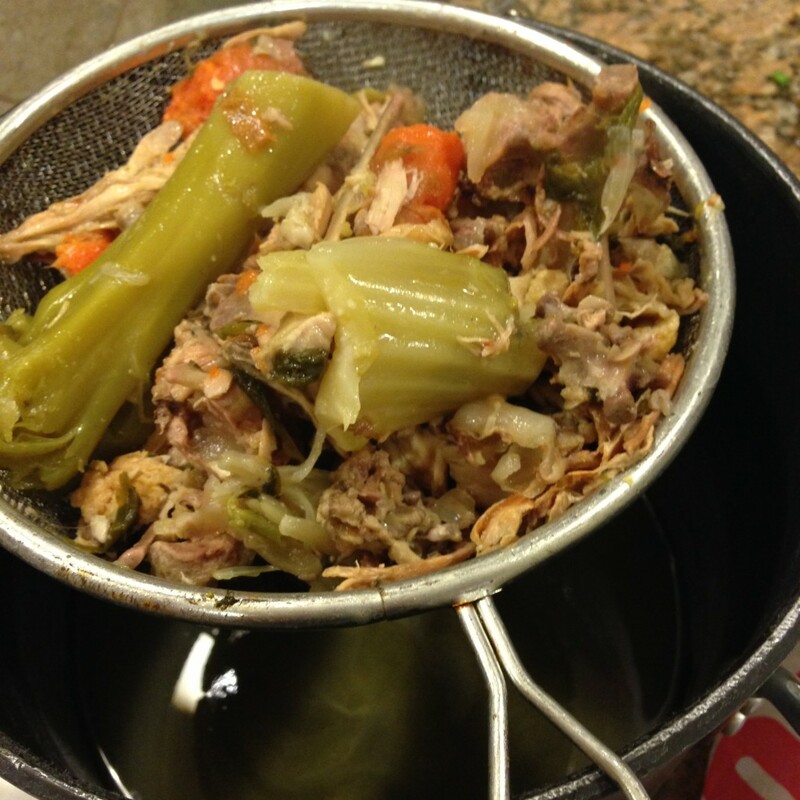 Making stock doesn’t require a lot of effort, but it does take some time. Now I know this isn’t for everyone, but it’s an option if you’d like to control the sodium or use ingredients that may just get tossed. It’s a great way to make something out of nothing! Above is an incredible beef stock I made. It was rich and delicious and used beef bones I’d tossed in the freezer. When I was done making the stock, I made beef & noodle soup. It was incredibly delicious and once you have the basics down, the rest doesn’t take any time at all. Because I don’t want to spend every Sunday in the kitchen cooking away, I usually make several stocks at once. All it takes it a couple big pots and some room on the stove and in the freezer when you are done. This is the beginning of chicken stock. If you look closely, you’ll see I throw everything in; onions (skins and all) went in the pot because afterwards you strain everything out. No need to take extra time to prep the ingredients. 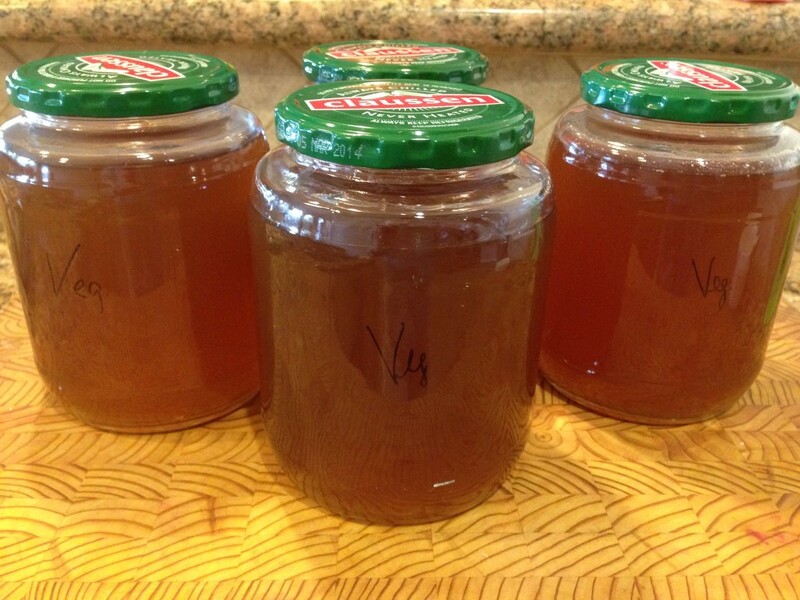 When you’re done you’ll end up with a beautiful rich homemade stock. 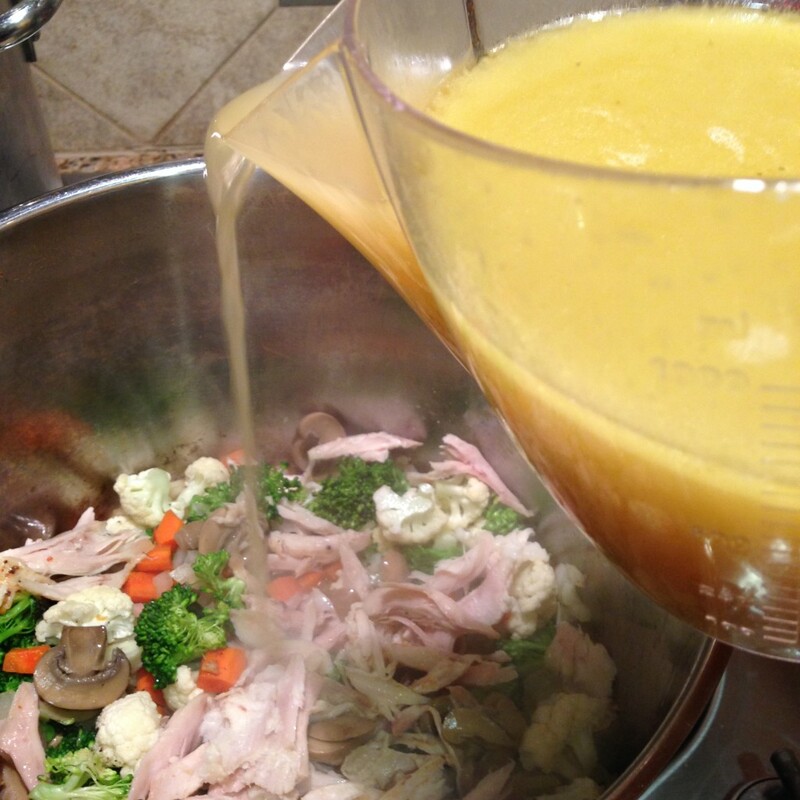 I use a fat separator – the fat floats to the top and the stock is poured out of the bottom. That way you are able to control the amount of fat that goes into your food. 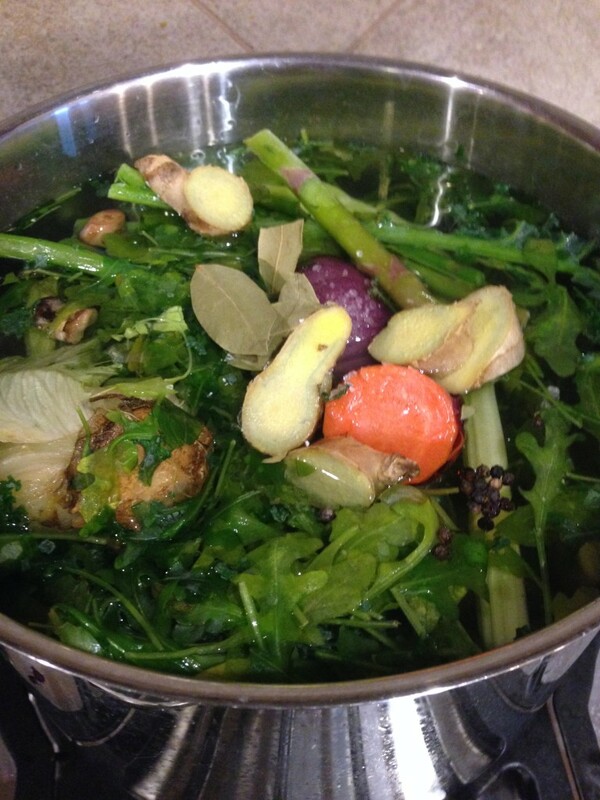 In addition to beef & chicken, I also make vegetable stock. I take all the things you’d normally throw away when you’re prepping your vegetables; the ends of the mushrooms, kale stocks, the greens from the beets, etc. Rather than toss them, I tuck them into a bag in the freezer. When I have three one gallon of bags full of veggies, I’ll combine all the ingredients, toss in extra onions, celery & carrots and set it on the stove to simmer for about four hours. Label it with a name and date and pop them in the freezer. I usually don’t keep them for more than a couple of months as they get used so quickly. Again, I know this isn’t for everyone – but it’s an option. To me throwing away food is throwing away money. Give it a try and see if it makes a difference to store bought stock. Enjoy! « Crock Pot Pork Chops – Super Easy! Great stuff! I love that you added ginger slices! I have a chunk of ginger right now that is begging to become stock now! If you’re making an Asian stock, tuck some lemon grass in it as well. It really ads great flavor!